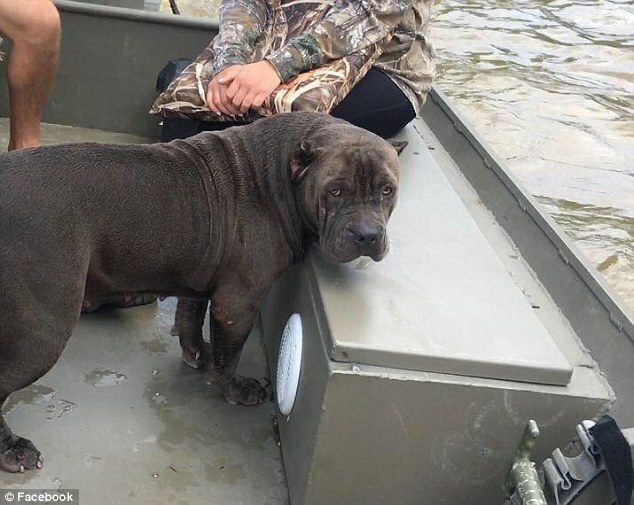 A Good Samaritan helping rescue people in the deadly flooding of Louisiana is earning praise for rescuing a dog just in the nick of time from drowning. Josh Pettit wrote on Facebook that he was in his boat skimming over several feet of water on Monday after flash flooding when he spotted a 'bush shaking' and looked over and all he saw was a gray muzzle and a pair of frightened eyes staring up at him, the rest of the dog submerged underneath the muddy waters. 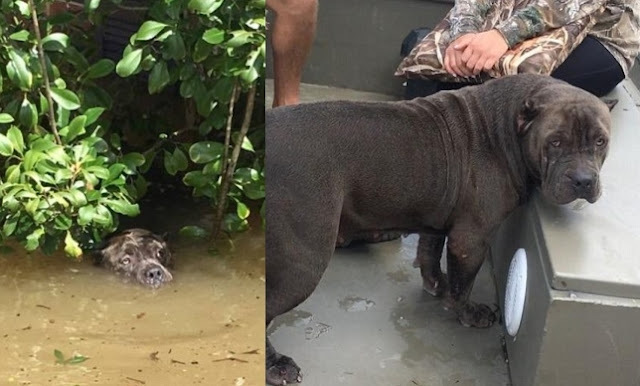 Pettit said after saving the dog, he found a veterinarian's office that was flooded and helped the vet get all of his animals out. He then left the dog with the vet on dry land. However, later, the dog's owner was located. The pup is named Sadie, and the owner said she got spooked and ran off as they were loading another dog into the car. Unable to find her and having no choice but to leave, they did. The flooded has destroyed at least 40,000 homes, Louisiana Gov. 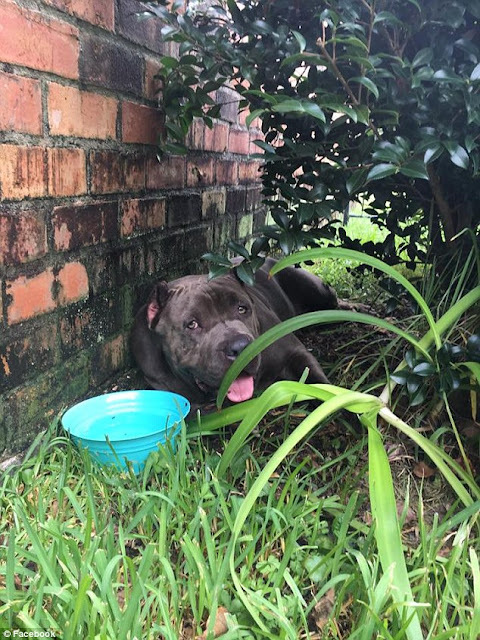 John Bel Edwards said during a Tuesday afternoon news conference, while 30,000 people and 1,000 pets have been rescued. 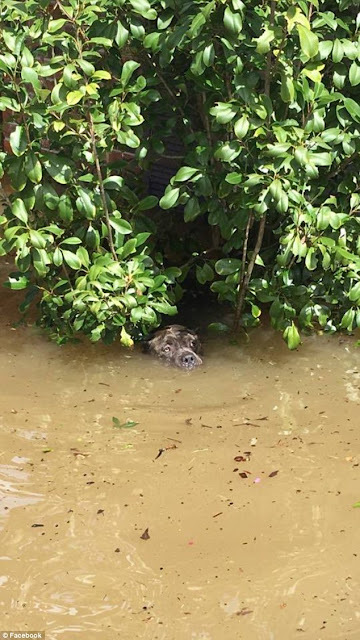 Responses to "Brave men rescue a drowning dog from devastating Louisiana floods"